Do you hate bringing drinks outdoors because of the possibility of leaves, bugs and other debris flying into your cup? Solve this annoying problem by placing a cupcake liner over the opening of your cup when you are not drinking it. Mission accomplished. 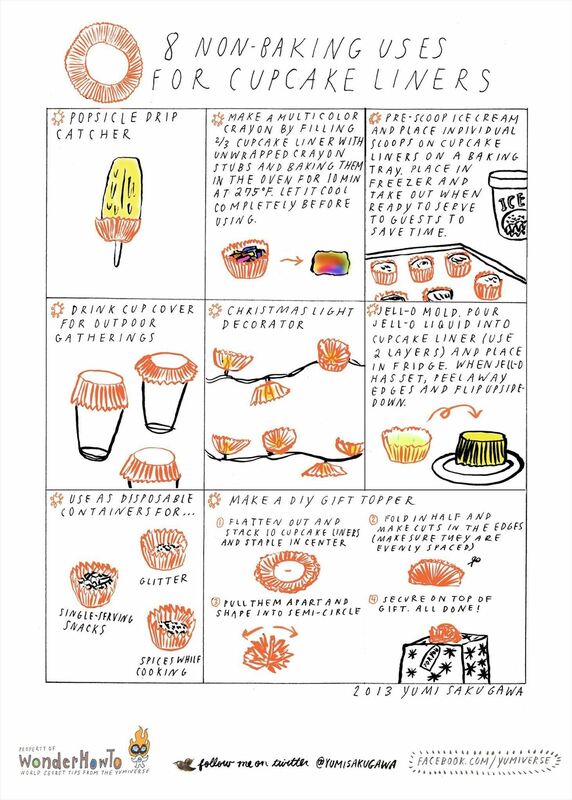 Other than preventing yourself from accidentally drinking spiders while chilling in your backyard, cupcake liners are also great for catching popsicle drips, molding your Jell-O, making a multi-colored crayon out of leftover crayon stubs and more. How To: Stop Cupcake Liners from Peeling Away from Cupcakes.